This apartment was located in the Sapperton neighborhood of New Westminster, in a low-rise building which was built in the 1970s. The ceiling texture in this project included asbestos, as do a very large percentage of dwellings built prior to 1980. Therefore we could not disturb the ceiling texture whatsoever, as it would be a serious health hazard. 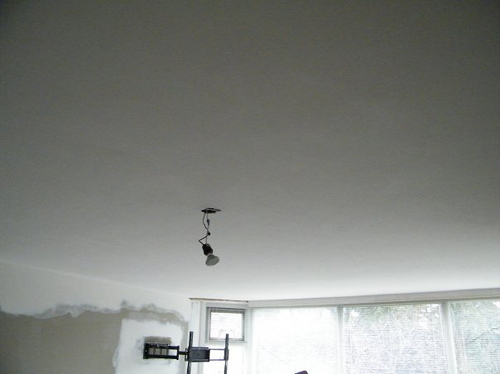 As you can see in the before and after photos, the transformation from the textured ceilings, to a beautiful, smooth ceiling absolutely stunning. Our exclusive process seals away the asbestos for the life of the building, and eliminates it’s health hazards. 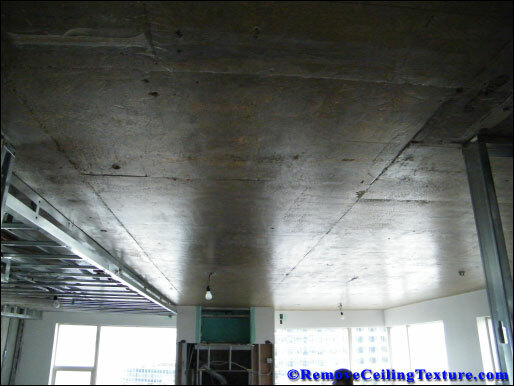 Do yourself and your family a favor and contact RemoveCeilingTexture.com TODAY! 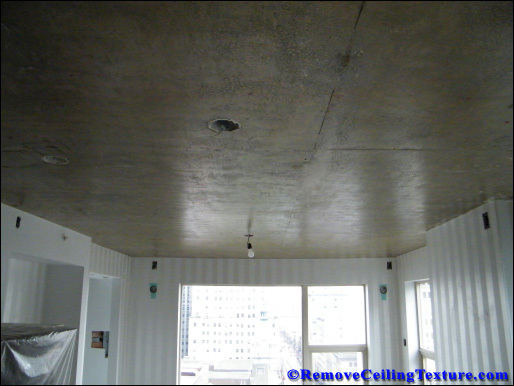 Stop putting up with that ugly, dusty, dirty and unhealthy textured ceiling in your home. If you suspect that your ceiling popcorn texture includes any asbestos, contact us immediately to find out how our exclusive process can eliminate the health threat of asbestos to your family, at a fraction of the cost of asbestos abatement. With it’s stunning views, plentiful sunshine from all directions, and incredible downtown location, this penthouse unit was missing one very important thing. Although this highrise building was completed in the 1990’s, this particular unit was never “finished”. The floors and the ceilings were bare, unfinished concrete. 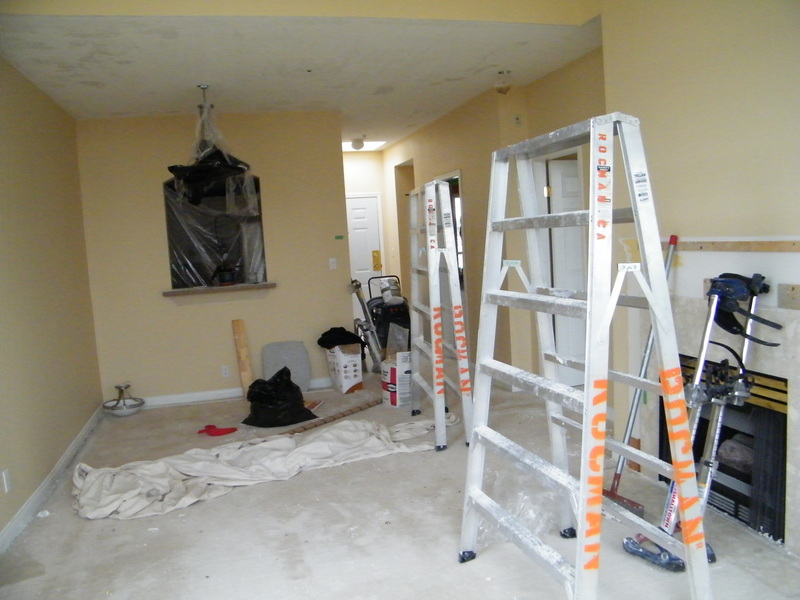 That’s when the owners contacted us at RemoveCeilingTexture.com – Originally, they wanted to have all the ceilings dropped and drywalled to get rid of the ugly, unfinished concrete look. 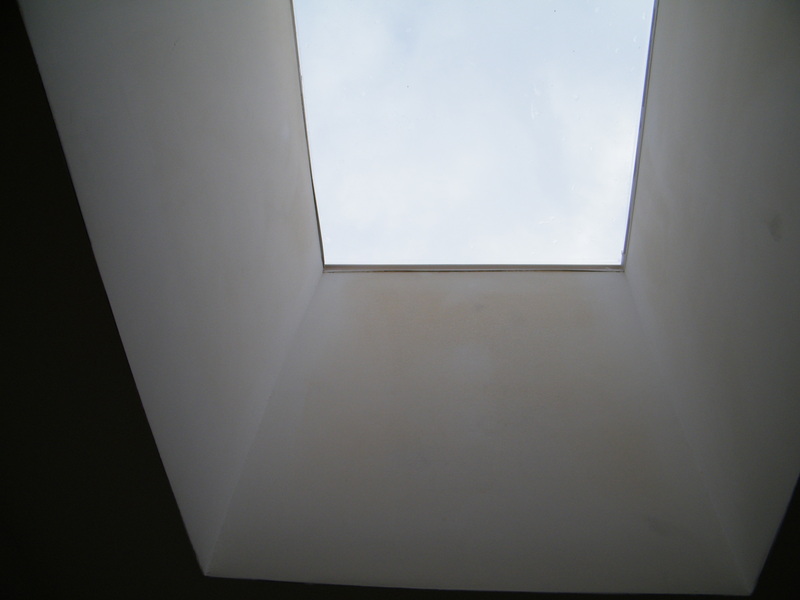 But at 7′ 9″ height from slab to slab, that was not a feasible option. It would mean less head room for the occupants of the apartmernt. So we suggested finishing their bare concrete ceiling the old-fashioned way, using a hawk and trowel. 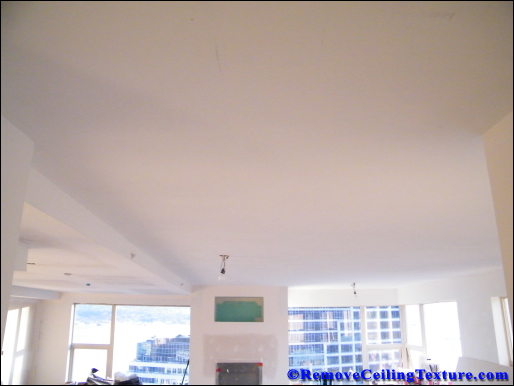 See the photos below and see how we transformed bare concrete ceilings, to a beautiful, smooth and paint-ready ceiling in this downtown Vancouver condominium. 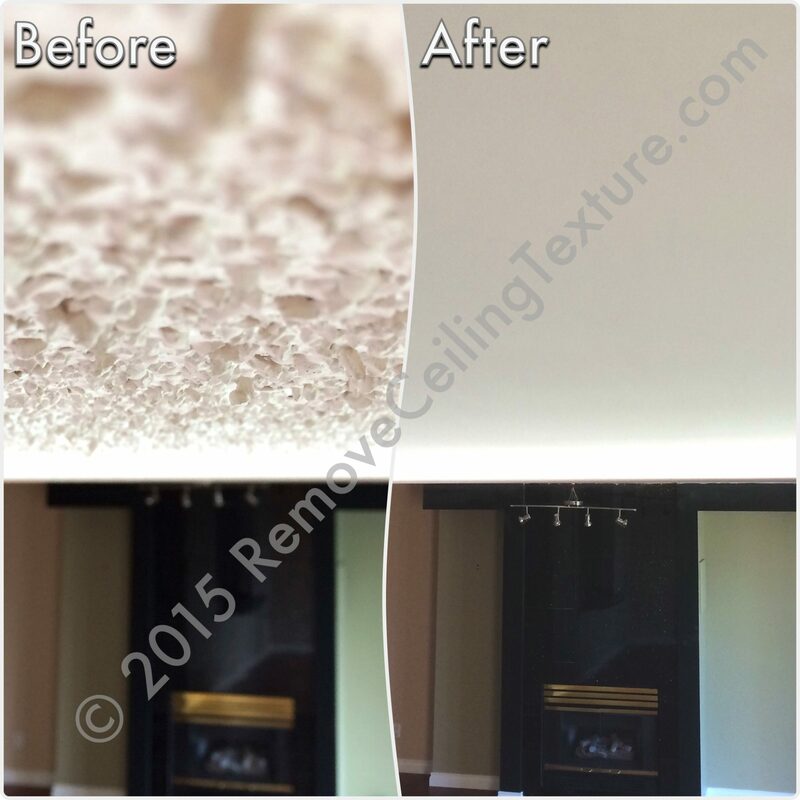 This particular project involved scraping and physically removing the stipple ceiling texture, as requested by the homeowner. 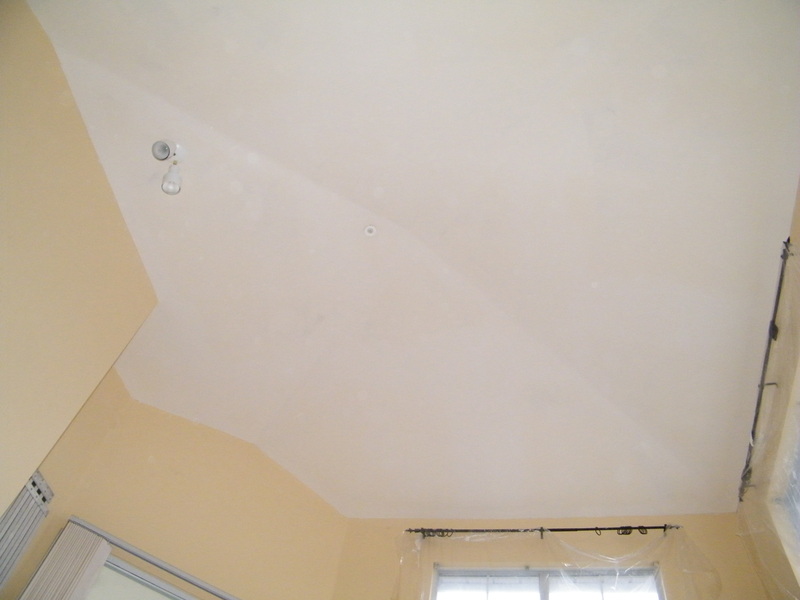 As you will see in the pictures, we first scraped the existing ceiling texture from all the ceilings in this home. 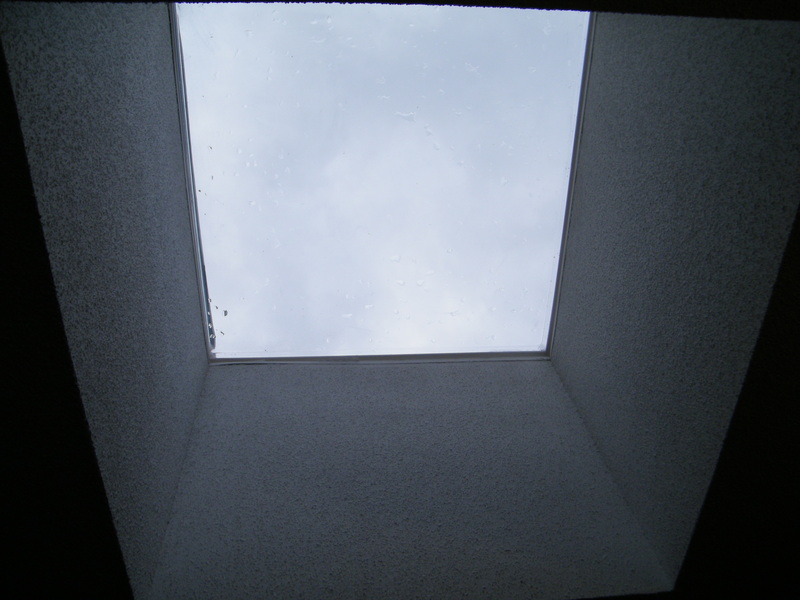 This included removing the stipple texture from a 14′ vaulted ceiling, as well as 2 skylights. At RemoveCeilingTexture.com , we go out of our way to cover all thefurniture, fixtures, cabinets, countertops etc… in your home, that may be exposed to dust. 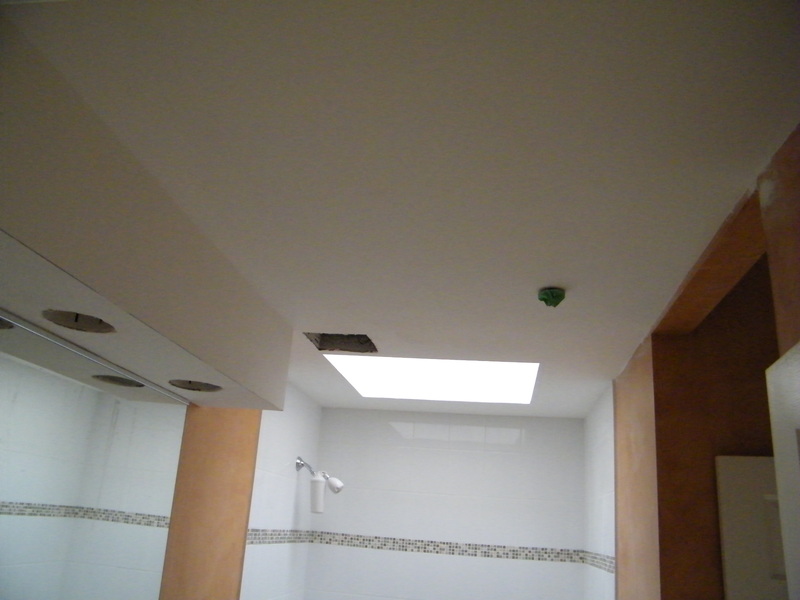 This way, you can rest assured that your home will be clean during and after the removal of ceiling texture. 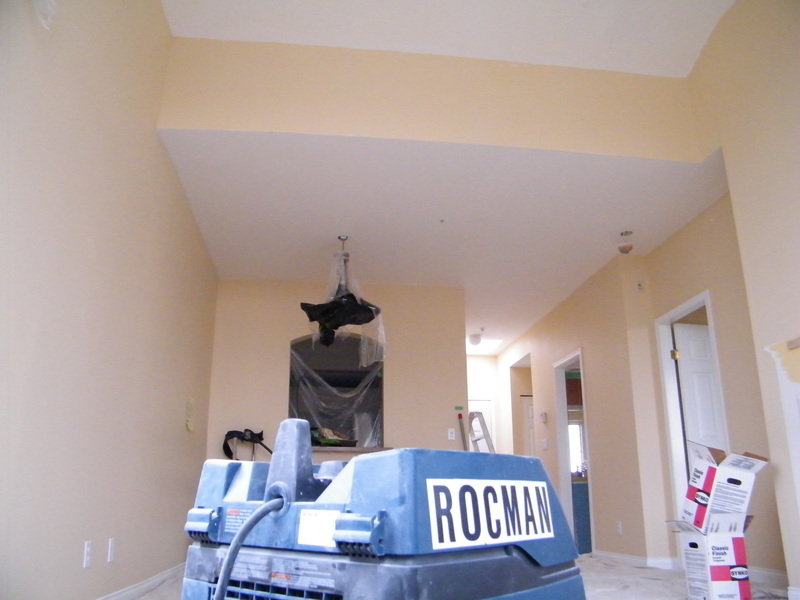 As you can see in this picture, once our process is complete, your ceilings will be 100% smooth, and ready to be painted. Â Total time spent on this project was 2 consecutive working days plus a third morning (2 hours) to clean up. This was an apartment unit that was build in the 1990’s in south Vancouver, BC. 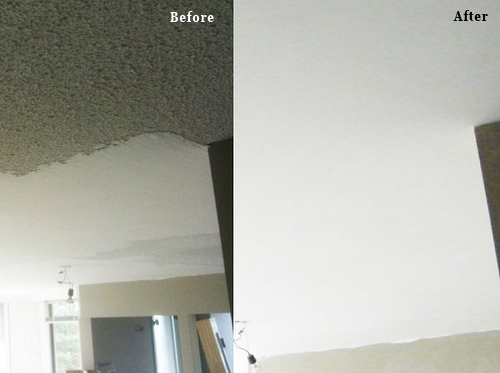 Please take the time to go through all the photos from this popcorn ceiling removal project an if you are tired of looking at that unsightly textured ceiling in your home, give us a call or contact us using our online contact page. Want to quickly increase the value of your Vancouver home? The acoustic ceiling removal trend started in the early 80’s and has become a necessity in many areas when selling your home. Often, if they are not removed before placing your home on the market, potential buyers will request concessions for their replacement. Many people simply hate the look of the cottage-cheese-like texture and wonder why they were applied in the first place. As with most construction trends you can follow the money trail for the answer; the widespread adoption of this finish practice by builders throughout America was simple economics. It was far less labor intensive and therefore cheaper to cover a partially finished drywall ceiling with a rough texture than to complete the drywall taping work to the stage needed for a smooth finish. What started the removal trend? Some say it was the asbestos scare while others claim it was simply changing tastes of buyers. If your home does contain asbestos you must inform the potential buyers through disclosure or face possible legal action later down the road. Prior to asbestos being outlawed in 1978, the natural but cancer causing fiber was added to the acoustic mix primarily as a binder to help hold the material together. Additionally the chrysotile asbestos used in popcorn ceilings is an outstanding fire proofing agent plus it increases the life of the pump used to apply the material by acting as a lubricant of sort. But not all acoustic ceilings contain asbestos, and only lab testing can confirm its presence. You cannot smell it, taste it, or see it without a microscope and the training to know what you are looking for. Although acoustic was reformulated in 1978 existing stocks of the material were used well into the 1980’s. By the late 90’s the use of this popcorn-looking texture fell out of favor with most builders because of public perception. It does, however, continue to this day with some builders, primarily those of lower end housing. Mobile homes are a great example of the cost saving building practice as most new units still contain machine applied asbestos-free acoustic. Our exclusive, patent-pending removal process is straight forward, simple and clean. 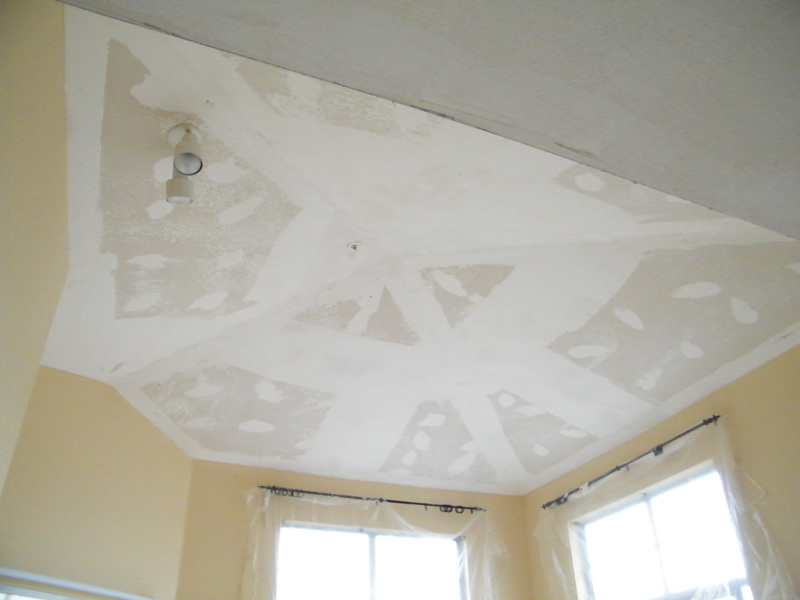 We can also eliminate the threat of asbestos in your ceiling texture, for the life of the building. Many that attempt to take on the job of popcorn removal as a do-it-yourself project without taking the time to learn the techniques needed for success will damage the drywall when scraping off the acoustic, resulting in even more work and expense than removing the material the right way the first time. If you are looking for a way to increase the value of your home, or you are just tired of looking at those spider web collecting, dust mite gathering, ugly popcorn ceilings, consider removing those eye sores and giving your home a fresh new look. 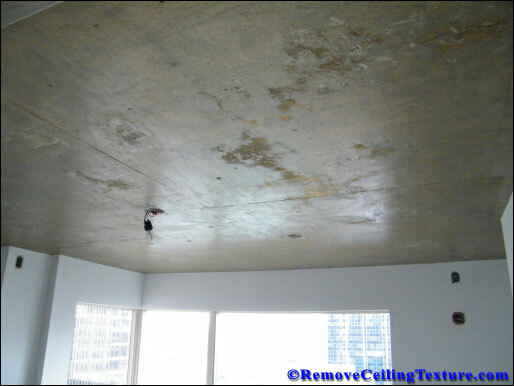 Contact RemoveCeilingTexture.com TODAY for a FREE in-home estimate. 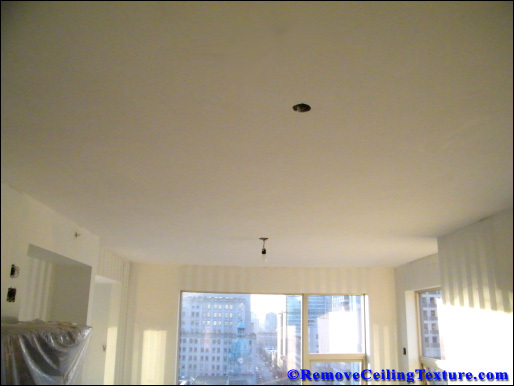 RemoveCeilingTexture.com serves the Metro Vancouver area including Vancouver, Burnaby, North Vancouver, West Vancouver, New Westminster, Coquitlam, Port Coquitlam, Richmond, Port Moody, Surrey, Delta, Langley, White Rock, Tswassen. 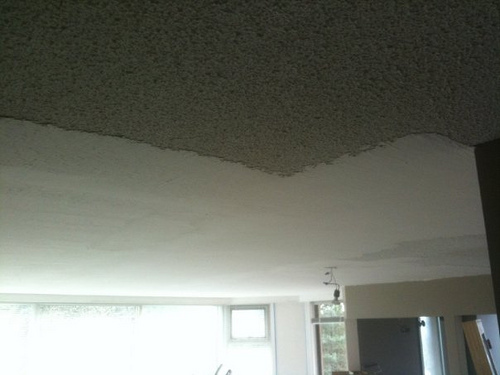 That’s the conclusion that the owner of this North Burnaby condo had come to before he asked us to remove some ugly popcorn ceiling texture that was 23 years old. It was starting to show it’s age. 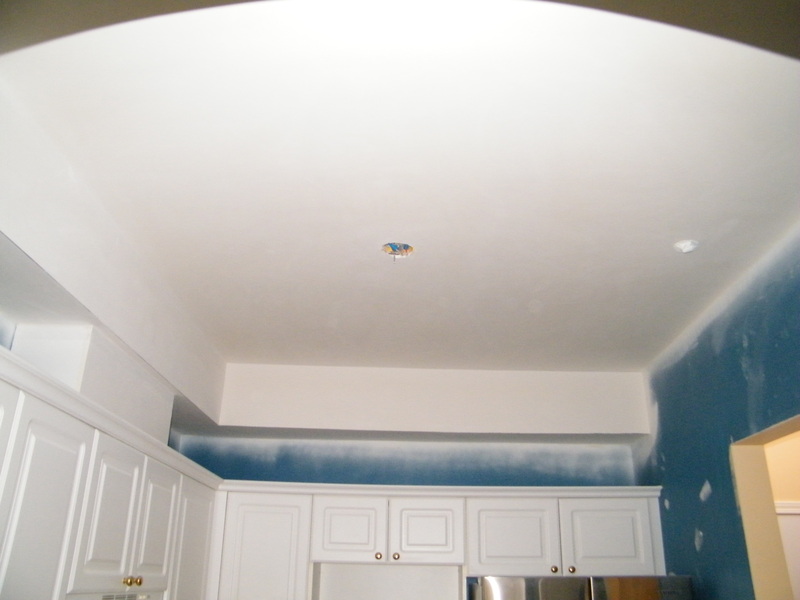 Edges of the ceiling were starting to delaminate and it was generally time to say goodbye to the popcorn texture. As you can see in the pictures, we haven’t even covered the furniture! That is thanks to our completely dust-free , no-mess system. All we did was move the furniture to the edges of the room so we could work on the ceiling. Total time spent on this project was one full working day plus a portion of the morning on the second day. 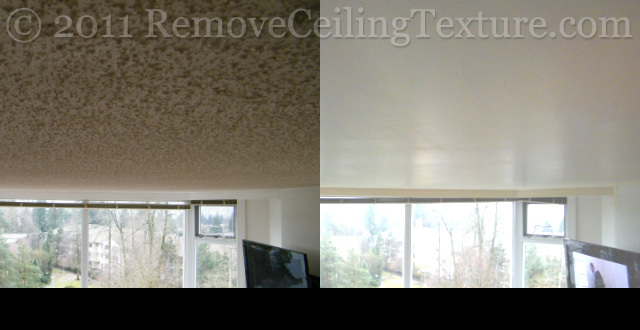 Give us a call today to have us remove your popcorn ceiling texture and make those ugly ceilings beautiful again. No-Dust, No-Mess, Guaranteed! 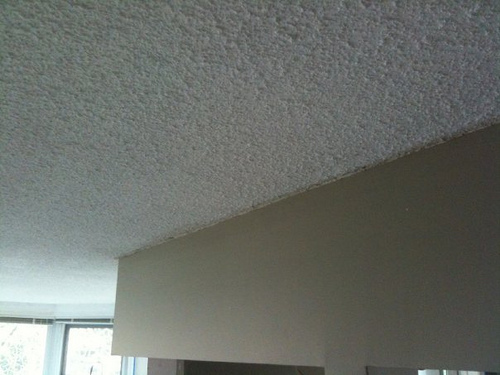 The owner wanted us to get rid of the popcorn texture throughout this highrise unit in Burnaby. This texture was quite course (SnowTex) and it was a slightly longer process to get rid of. The total time from delivery of materials to the final sweep and getting our tools packed away was 2Â days. As you can see, the results speak for themselves. Please leave your comments about this post.